If you don't speak Polish, this doesn't necessarily mean that a trip to the theatre is a waste of time. 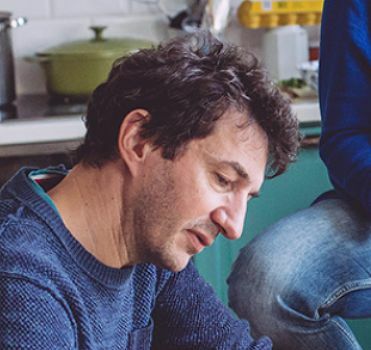 For one thing, some of the most intriguing theatre these days is performed without the use of those excessive 'word' things. Poland has a reputation for weird and wonderful avant-garde theatre and there's always something unusual on. On the other hand, Poland has a rich tradition in classic theatre, and nineteenth century figures such as Adam Mickiewicz and Stanislaw Wyspianski (himself a great European innovator in his time) have achieved an almost godly stature. If you're studying Polish culture, or you're an expat living in Warsaw, it's worth bearing in mind that not even James Bond could quote Polish poetry, so a trip to the theatre could improve your Casanova credentials immeasurably. Although theatre flourished in Poland during the Renaissance, the first significant theatre hall was not raised until 1632. This was created by King Wlayslaw IV at the Royal Castle in Warsaw - the king was a great sucker for Italian opera. The golden age of Polish Theatre was ushered in by the enlightened King Stanislaw August, who opened the country's first public theatre in Warsaw in 1765. Plays were generally intended to provide an edifying experience, reviving the country from it's intellectual decline. 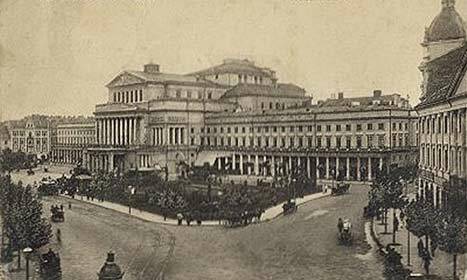 Later, in 1825, Warsaw's first major opera house was founded, the Teatr Wielki (The Grand Theatre) . Although completely rebuilt after the war, it remains the city's best venue for opera. It's a huge building and a great place to get acquainted with lesser known classics such as Stanislaw Moniuszko's 'The Haunted Manor', which was premiered here in 1865. Built in 1927, this edifice was originally the home of the League of Professional Cyclists. The theatre's longstanding director Janusz Warminski (1952-96) favoured original, modern pieces, and Ateneum maintains a fine reputation in those orbits. Almost all of Poland's finest stage actors have played here. Launched in 1949 as the "Theatre of the Home of the Polish Army" this stonker is based in the bombastic Palace of Culture, Stalin's post-war present to Warsaw. Bertolt Brecht's remarked on his visit, "What a beautiful alienation effect!" The theatre has seen many famous debuts (actors and playwrights) and it's still a popular place for modern productions. Founded in 1828, the aptly named Grand Theatre is a destination in itself. Something of a sanctuary of Polish culture during the nineteenth century era of partitions, the theatre had to be completely rebuilt after the Second World War - it had been reduced to little more than rubble during the conflict. In accordance with its original purpose, the theatre performs Polish and international opera - some of the best that you'll see in Poland. The Teatr Narodowy (National Theatre)-an entirely separate institution - also performs classic plays here, and their branch is housed in the west wing at no.3. The main building also houses an excellent museum of theatre with a host of flamboyant costumes. Mostly new pieces, and generally comedies, of course, performed by a young cast. Various reactions some like it, some hate it, as is evidenced by their forum. Worth investigating then. Founded in 1975, Kwadrat evolved into a home for comedy and social farce. Besides the best Polish works (usually modern pieces), many English, American and French plays are performed too (in Polish of though!) Their renowned troupe has toured the world. The 'New' theatre stages a variety of plays - most of which have a modern spin on them. Everything from classic Polish children's tales, to the gods of Polish literature to Monty Python - punters either love it or hate it. Eclectic. Respected musical theatre. Stages all the big musicals, performed by some of Poland's finest artists. A great place to catch a lavish, lively show - recent hits have included the Polish versions of 'Cats', as well as older classics such 'Grease'. A popular fixture. Legendary hangout run with an equally legendary hostess. Pre-war cabaret and plenty of raunchy antics. Girls in tight suits swirl around Moulin Rouge style to classic old tunes. A little class, a little skank, a little broadway. I am bringing to Warsaw my 3 granddaughters (ages:17,15 and 11) arriving July 2 and leaving July 6th. They speak no Polish, however, I should like to take them to a musical program of some kind either on July 3rd or 5th. Please advise what will be on offer at that time. Thank you. Narodowy, Nowy Praga, Na Woli, Ochoty, Polonia, Polski, Powszechny, Scena Prezentuje, Staromiejski, Studio, TR, Teatr Rewiowy Panache, Wytwórnia, Wspolczesny, Żydowski.